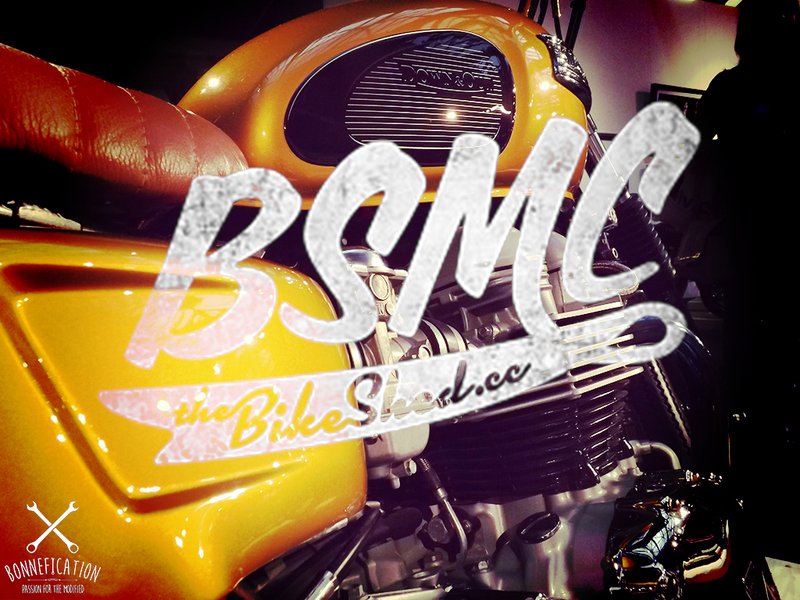 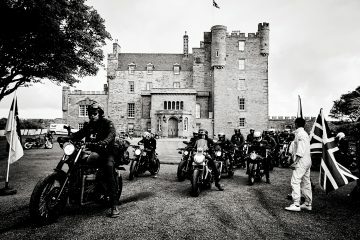 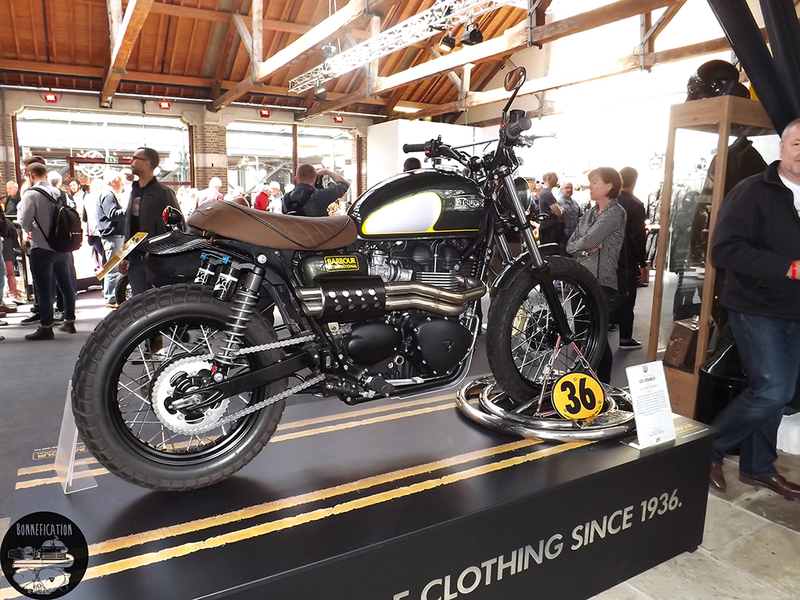 The third event from the BSMC crew was in association with Triumph, so there was going to be plenty to see for the modified Triumph Twin lover. 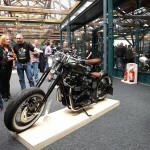 The previous two ‘Events’ had been held at the Shoreditch Studios in London’s EC2. 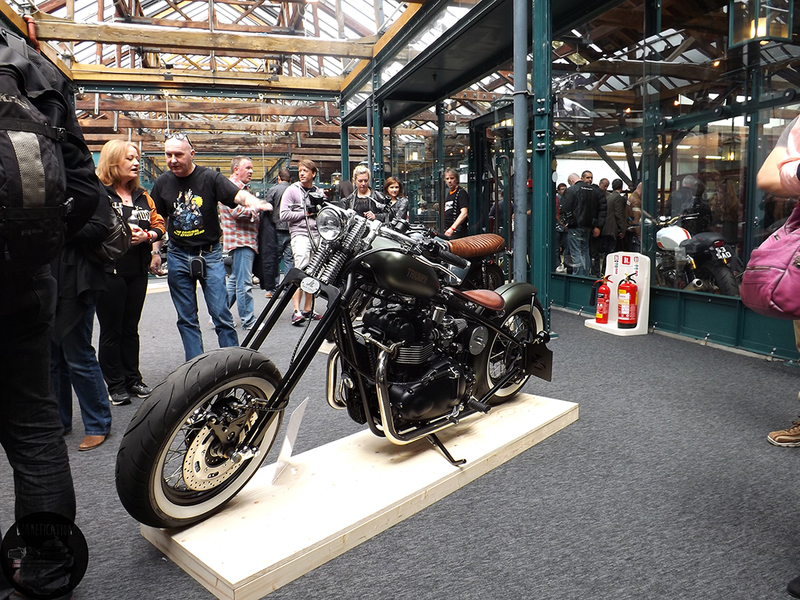 The third show, due to the ‘Events’ incredible success, has been moved to the equally cool Tobacco Docks in E1. 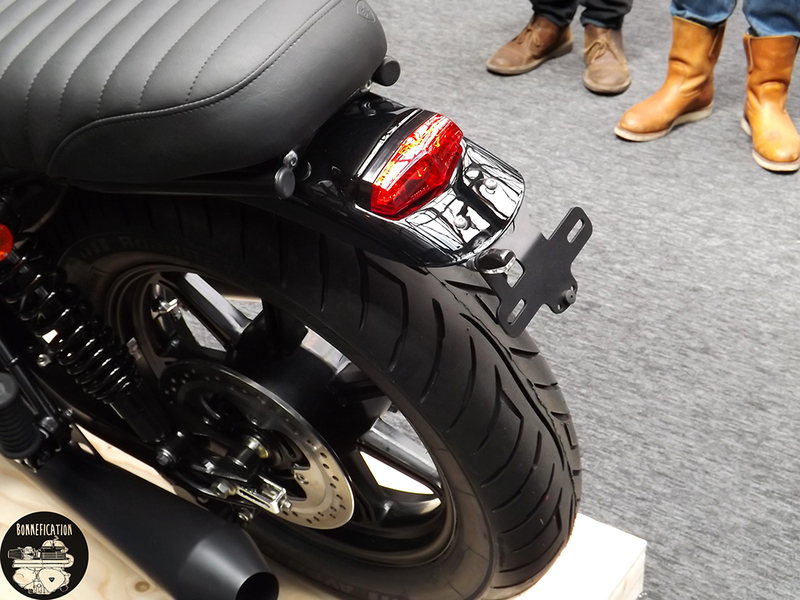 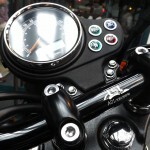 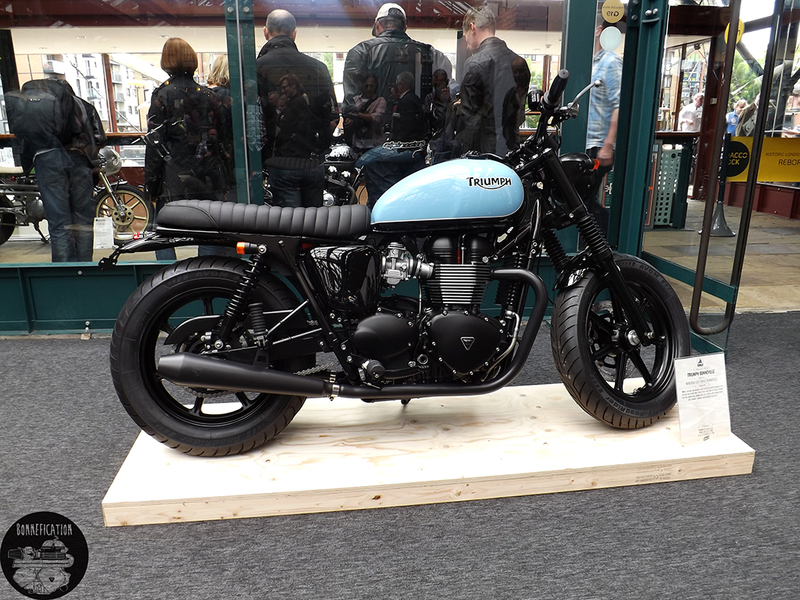 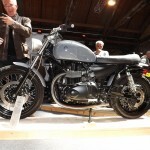 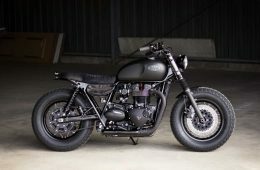 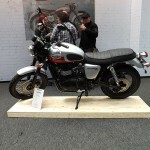 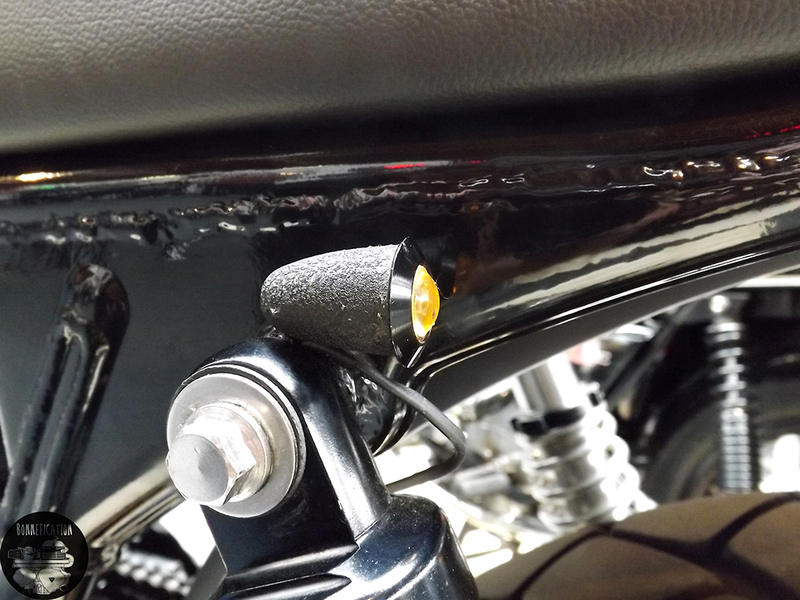 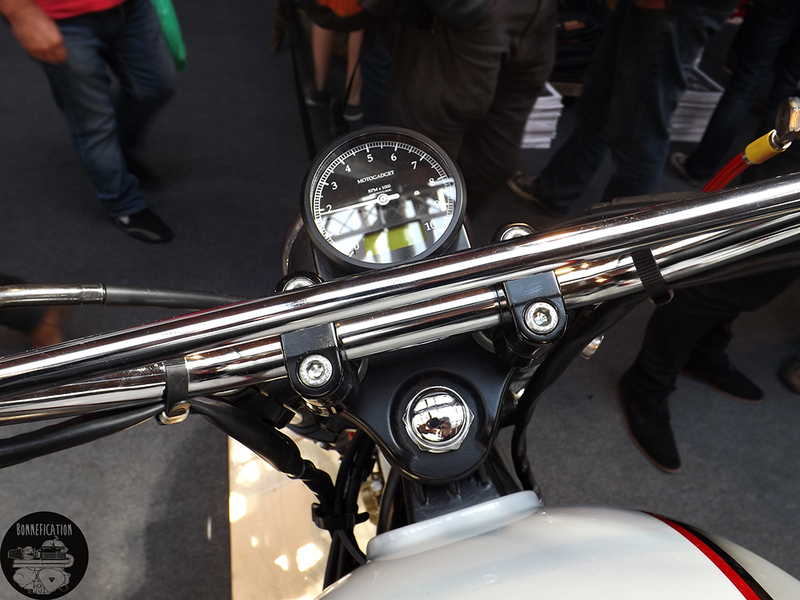 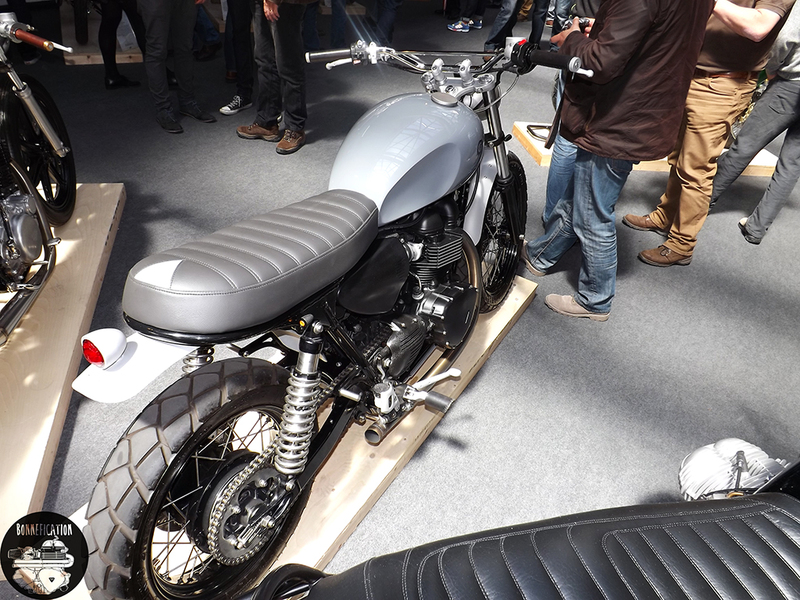 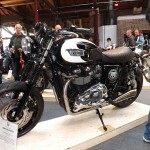 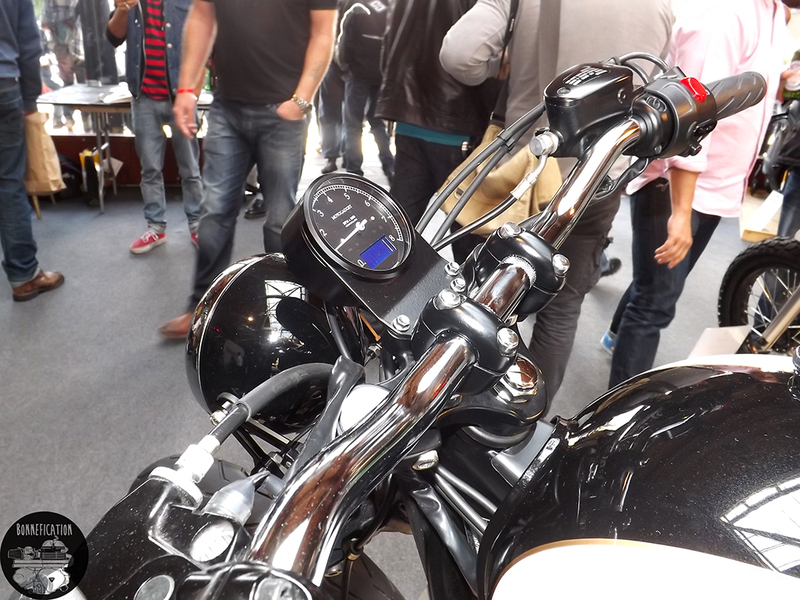 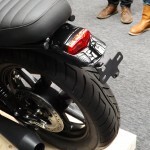 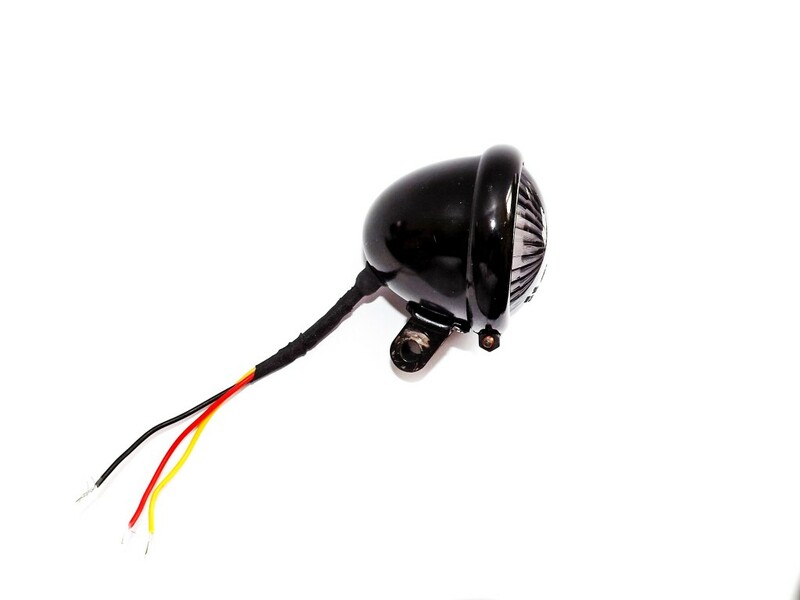 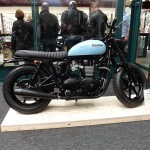 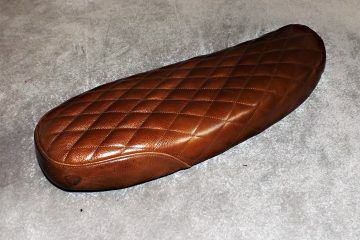 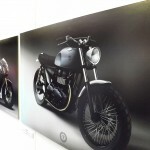 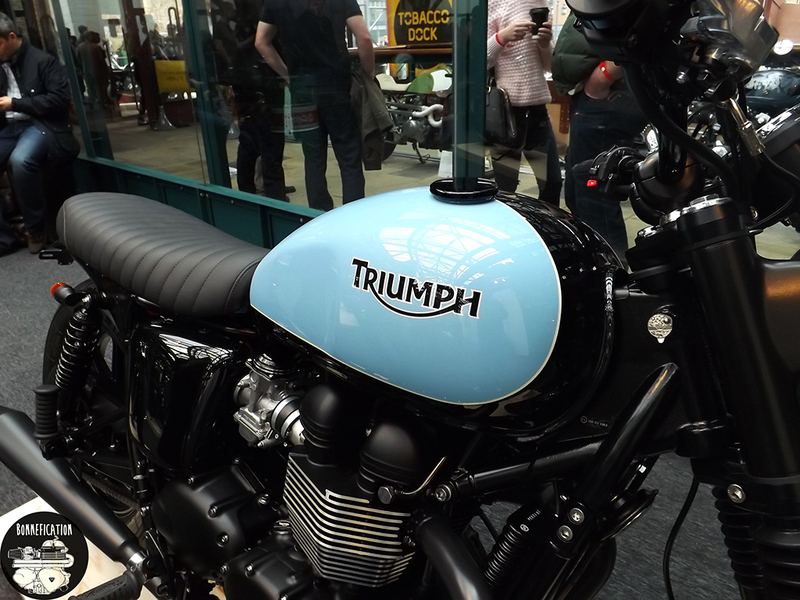 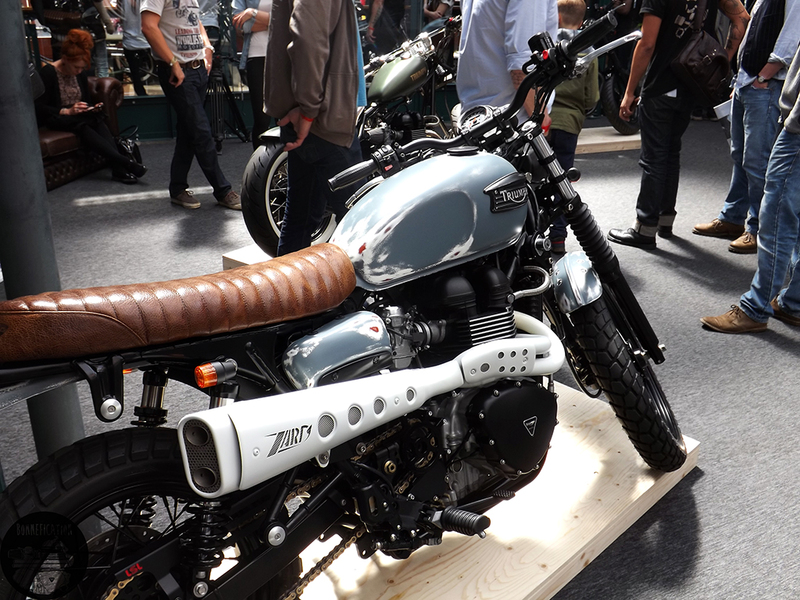 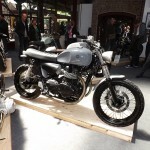 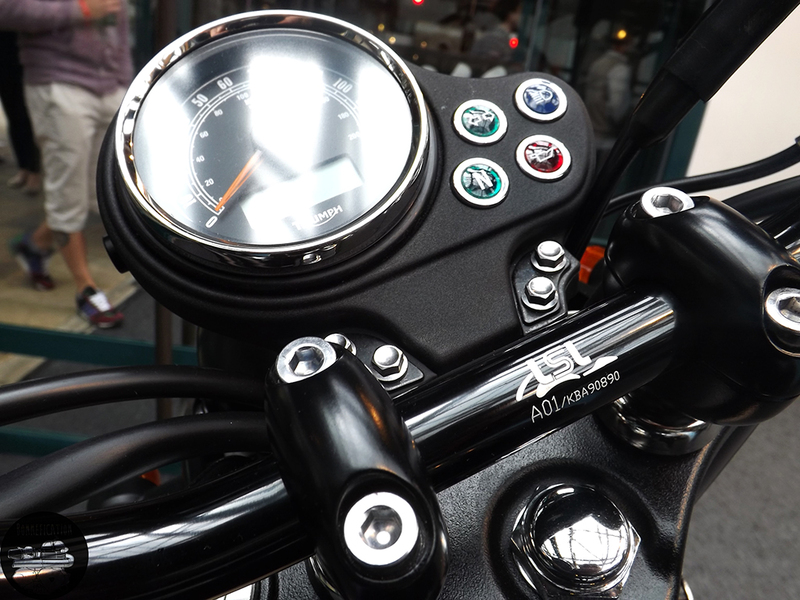 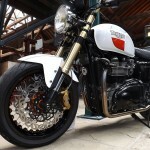 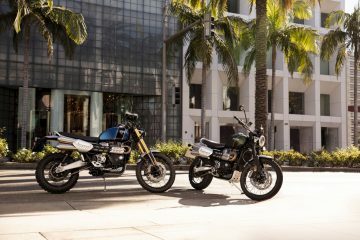 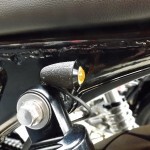 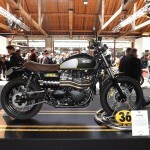 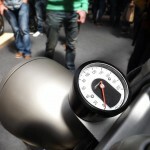 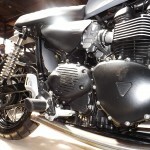 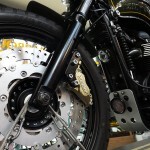 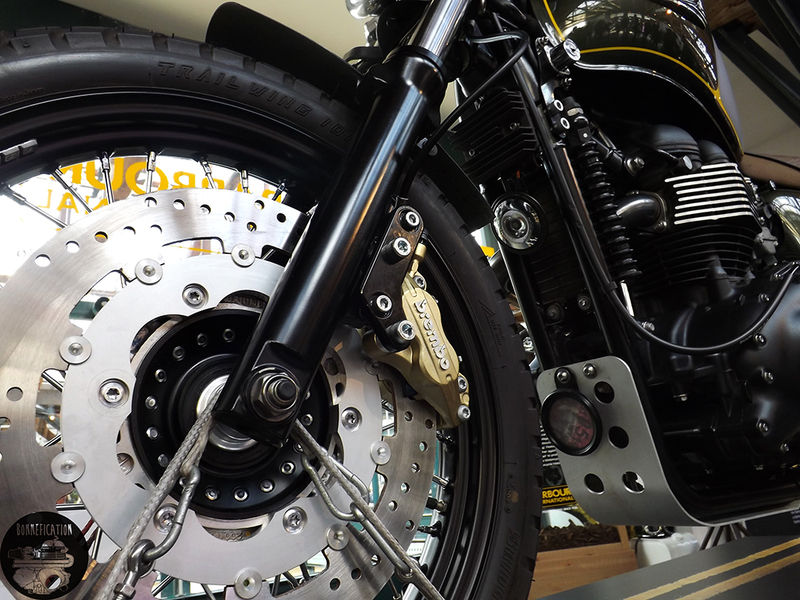 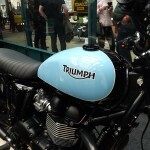 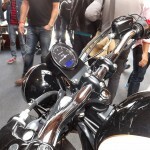 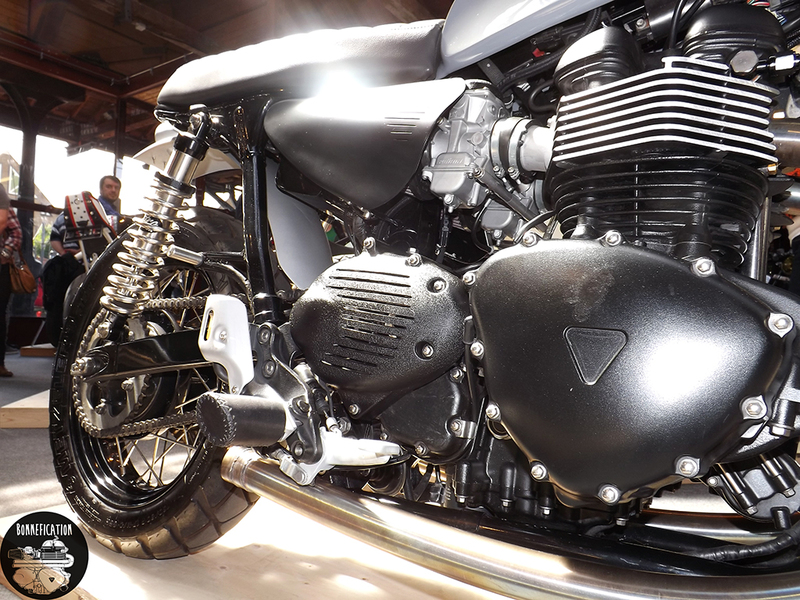 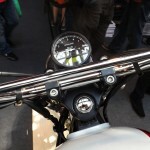 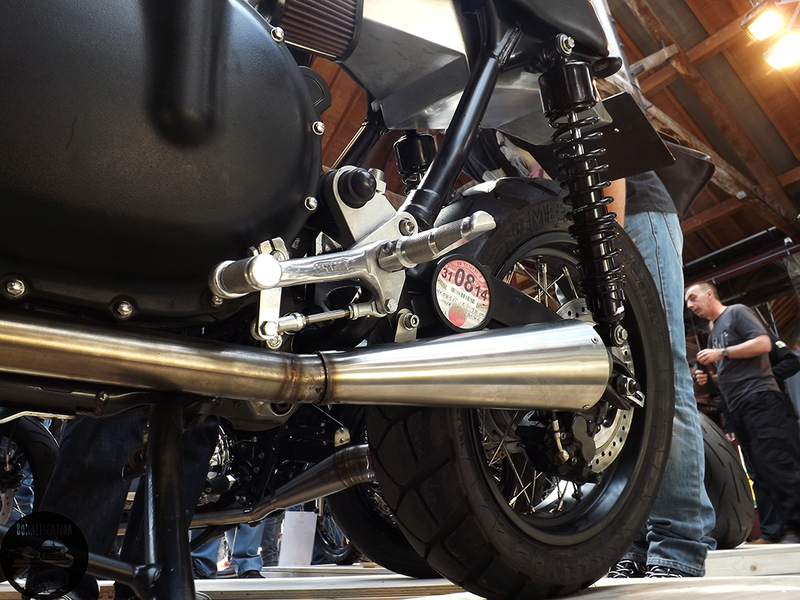 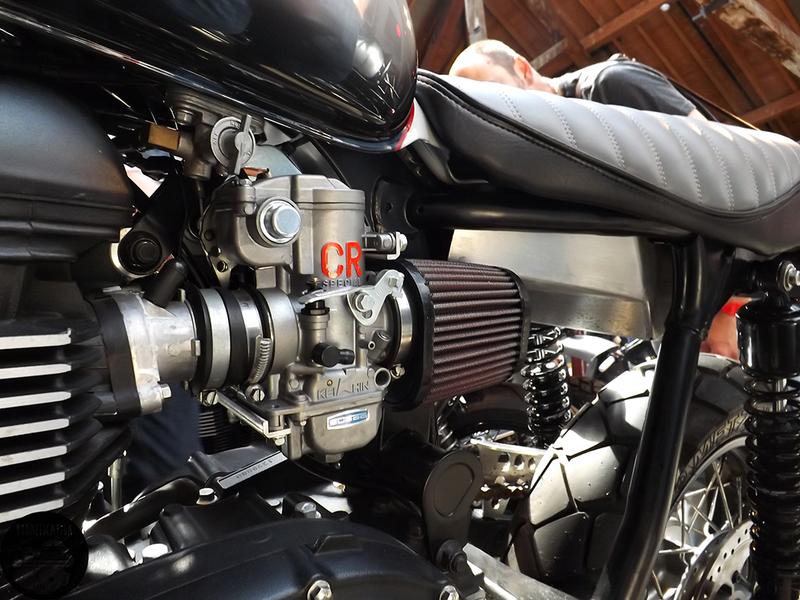 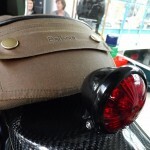 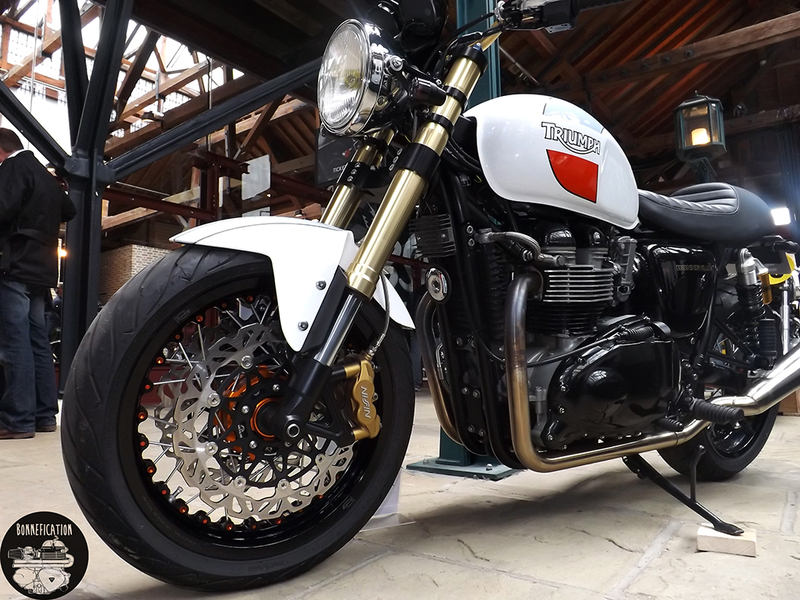 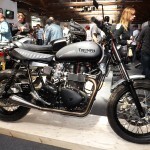 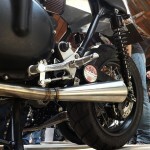 Its good to see Triumph getting involved in the ‘Alternative’, ‘New Wave’ custom motorcycle scene. 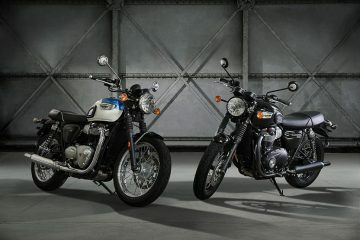 Especially one that so predominately involves the Triumph Twin. 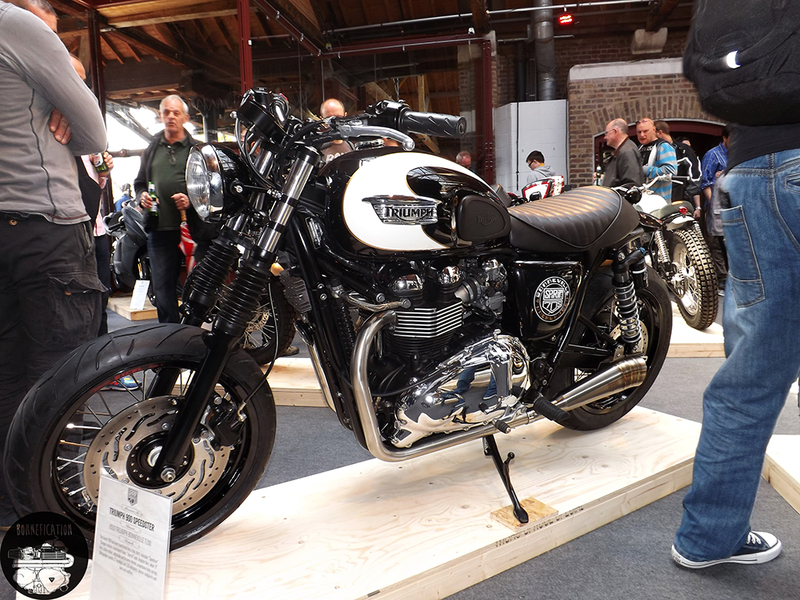 Perhaps there could be a Bonnefication display at BSMCIIII, in association with Triumph of course. 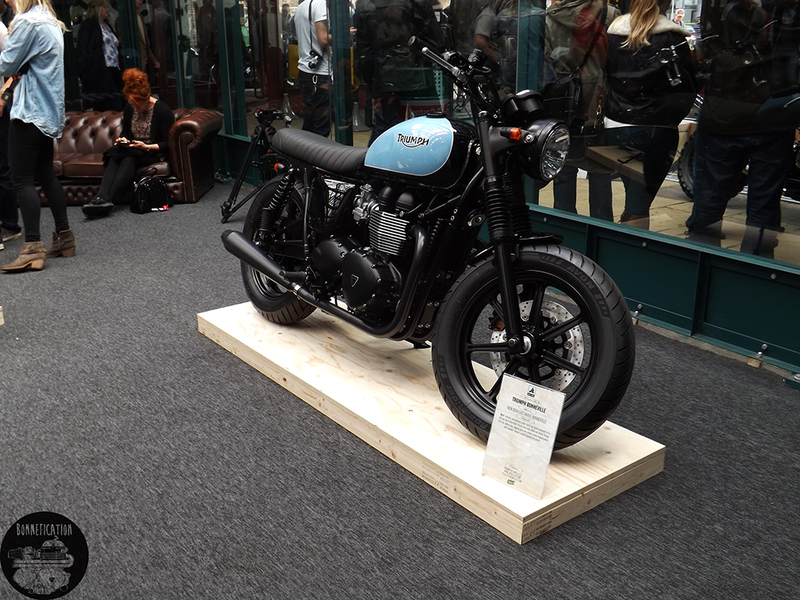 Entering the show I was met by a nicely put together 06 Bonneville ‘Shed Build’ called ‘Gulf’ish’ which sat just outside a room which housed builds by Jack Lilley, and Ace Cafe as well as a couple of stock donor bikes waiting to be purchased and modified by some lucky owner. 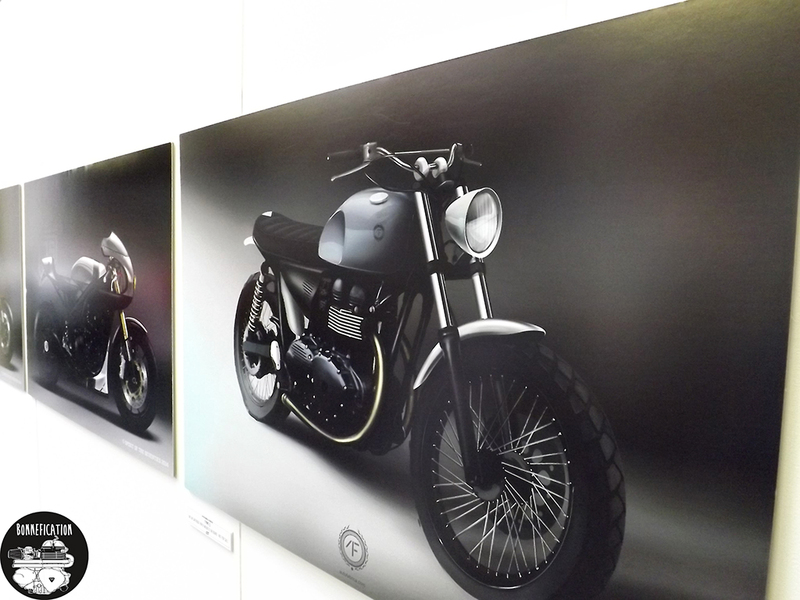 I had seen the Jack Lilley Bobber before, so I focused on the other two Jack Lilley Triumph’s on display, both of which I would like to feature on the website at a later date. 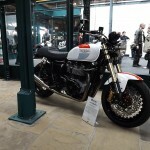 From the window of the room housing the Jack Lilley machines, I caught a glimpse of the Spirit of the Seventies Barbour build, wasting no time I rushed over to take a look only stopping to say hi to Steve Hilary of Redmax Speed Shop. 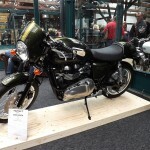 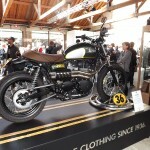 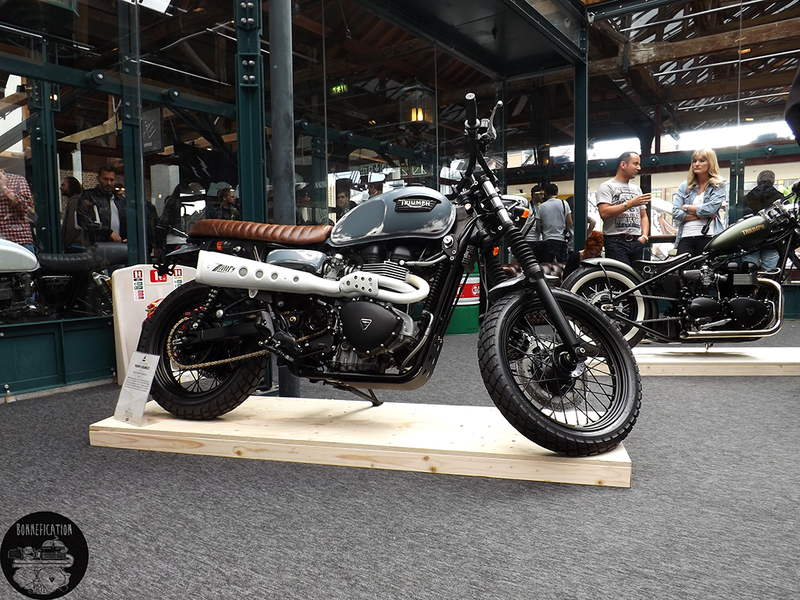 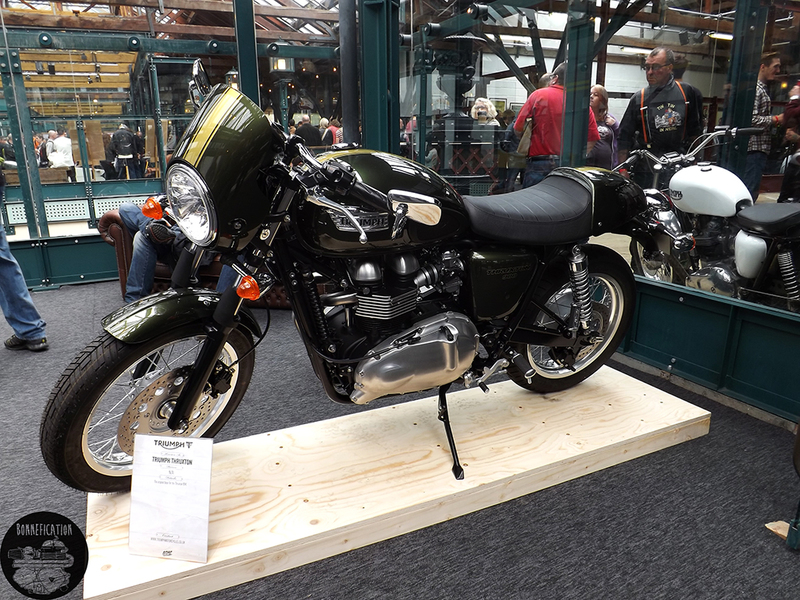 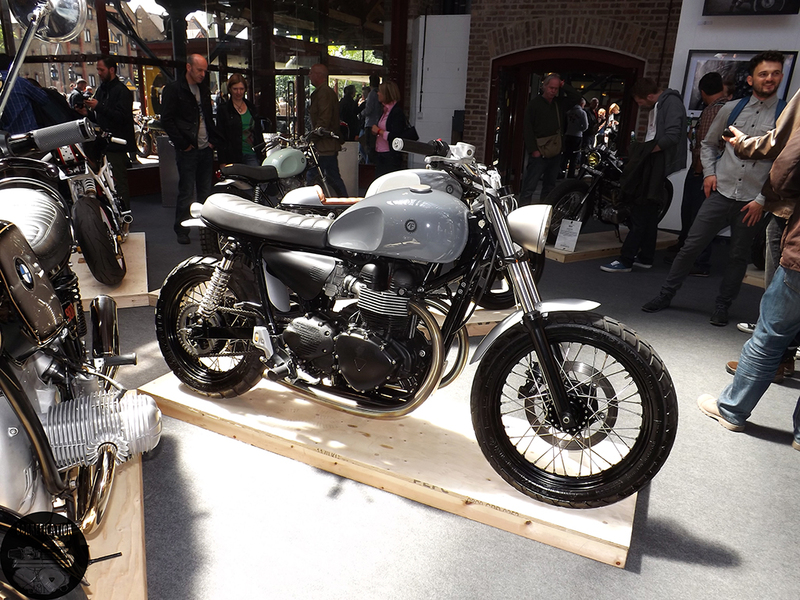 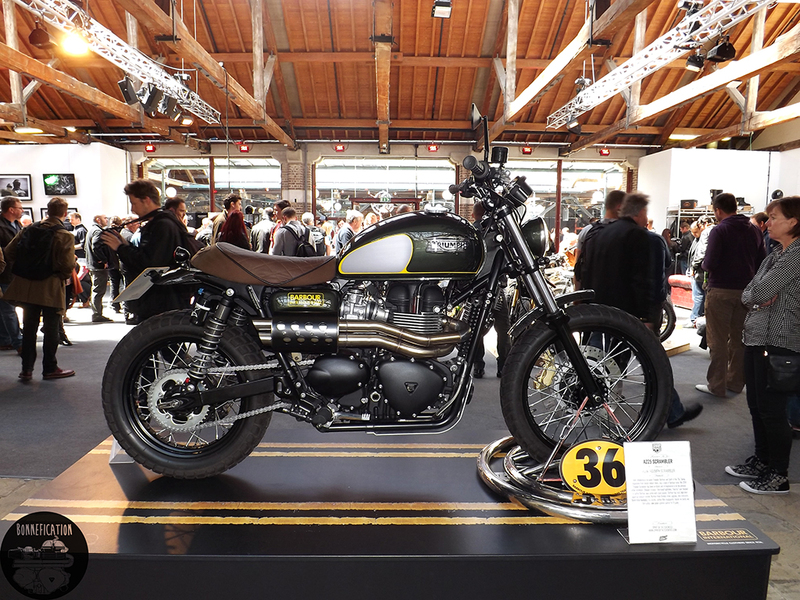 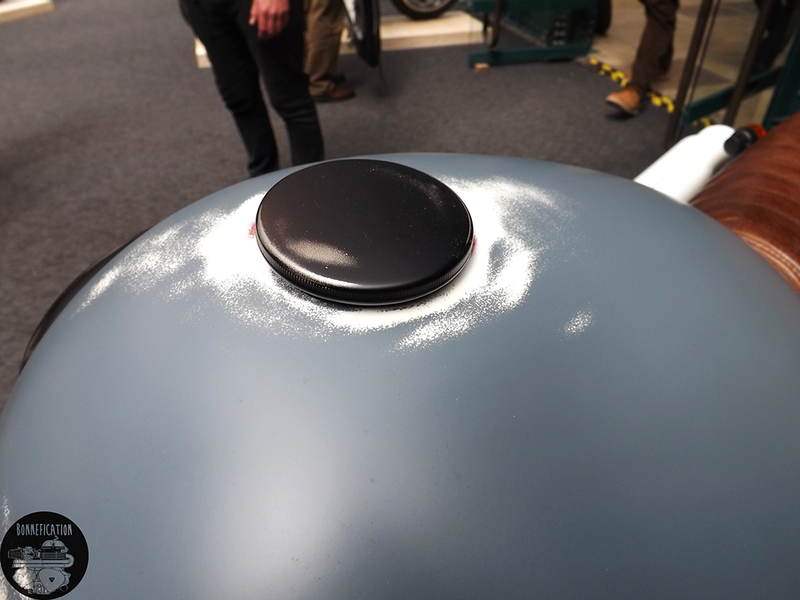 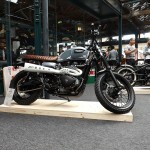 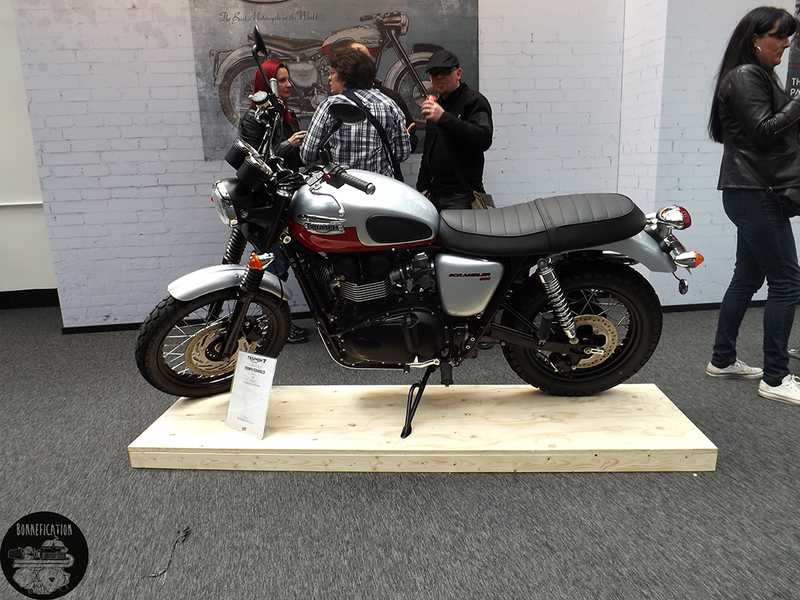 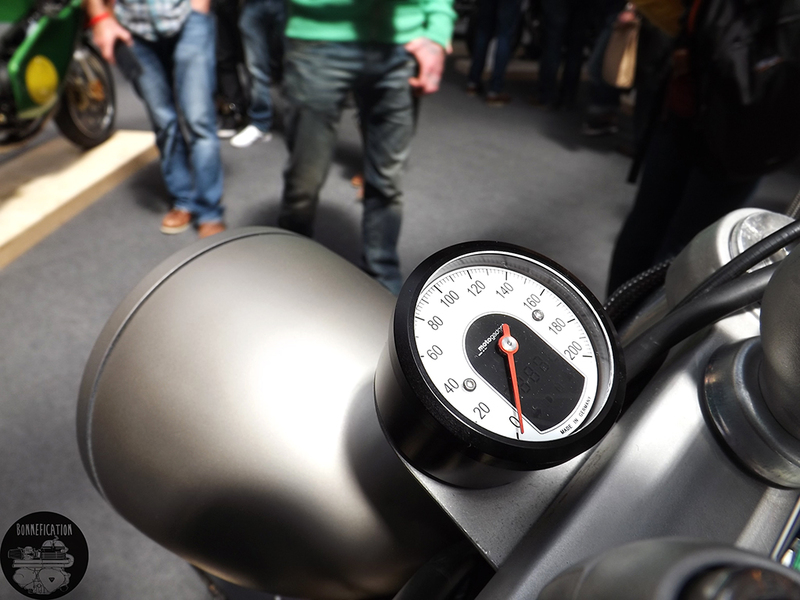 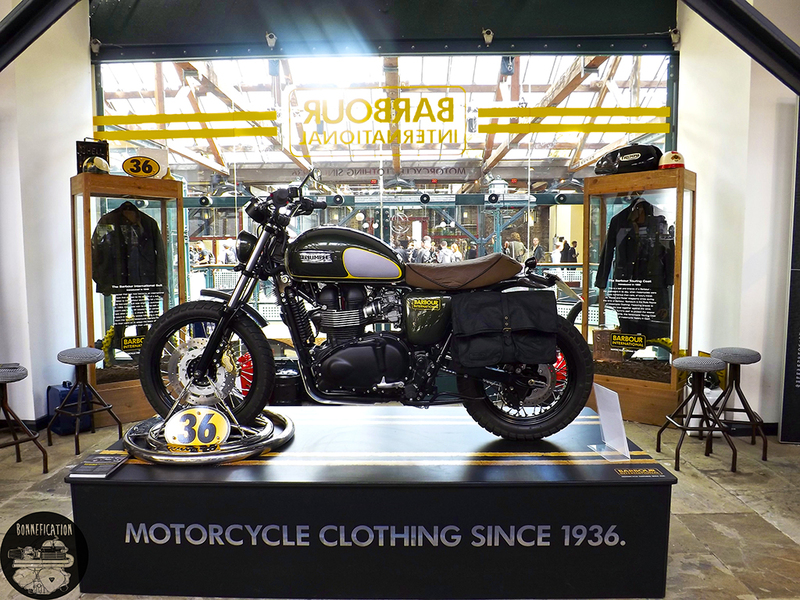 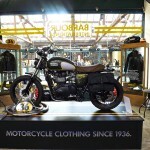 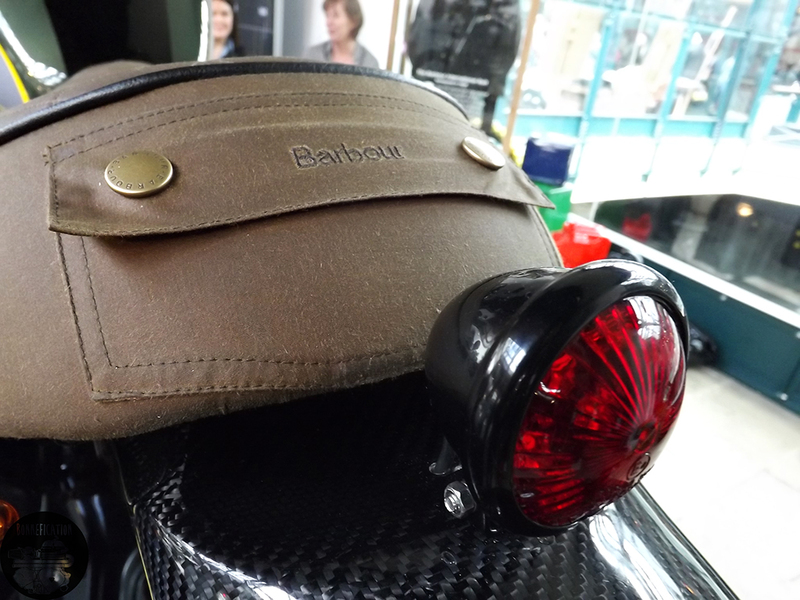 The Barbour build aka A225 Scrambler looked amazing on its plinth, which made it the centre of attention in the crowded room, excluding the bar and the stand displaying the Bell Bullitt Helmets. 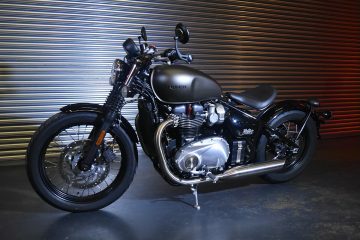 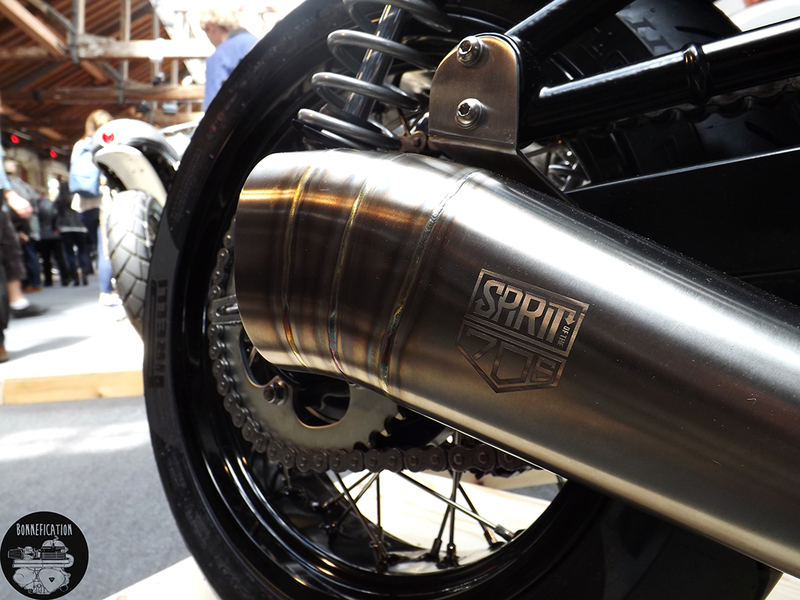 The main feature of the Barbour build, that any self respecting Triumph Twin enthusiast would be most interested in is that SOTS exhaust. 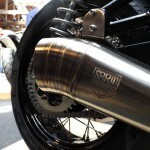 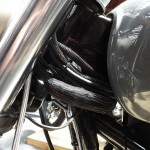 Now that is one good looking pipe!, more on that later. 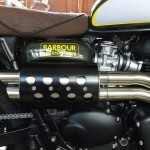 Just a short walk from the Barbour A225, were a further selection of Spirit of the Seventies builds, again sporting very nice bespoke SOTS exhausts. 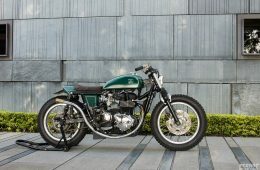 I happened to bump into Kev Taggart and Tim Rogers of SOTS, who were standing near their builds answering question from potentials customers. 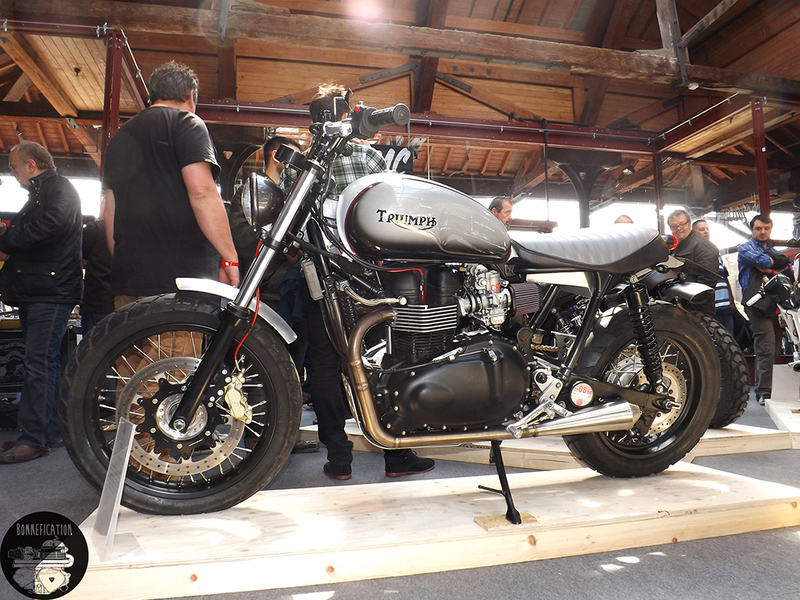 Both Kev and Tim expressed just how much they on loved working on Hinckley Triumphs, it being a great starting place for a custom build. 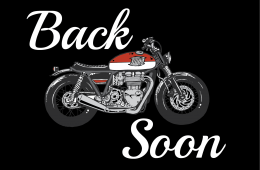 Something I think we can all agree on. 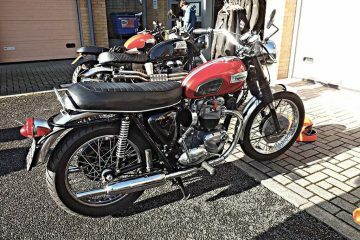 We need builders such as the SOTS guys in the UK, just to compete with the european builders such of CRD, Vintage Racers, Dino Romano who have been dominating the modified Triumph scene for some time. 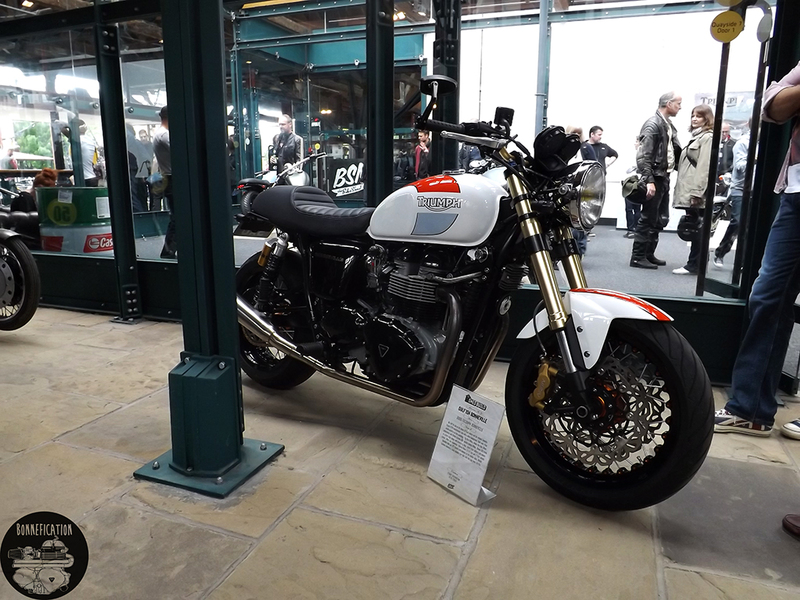 Given the conversation with the SOTS guys I fully expect to see a few more Triumph builds come from the ‘Pig Shed’ in the near future. 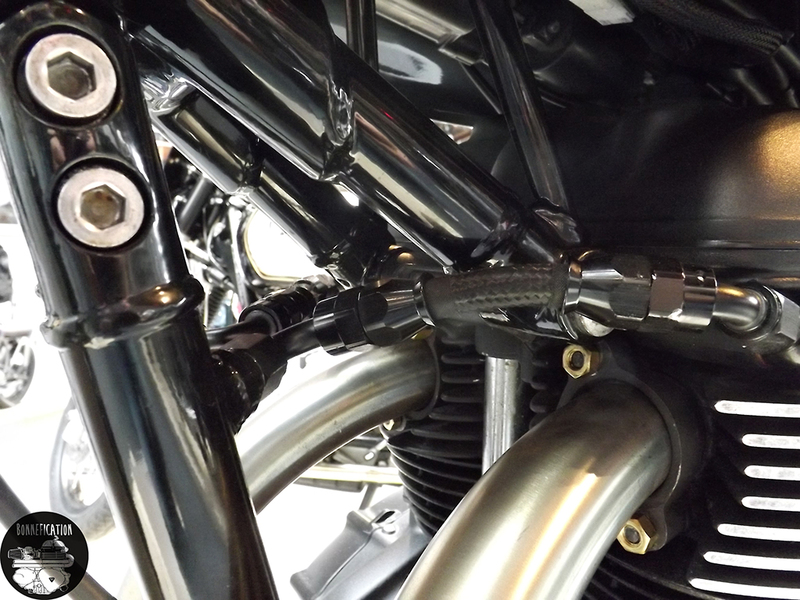 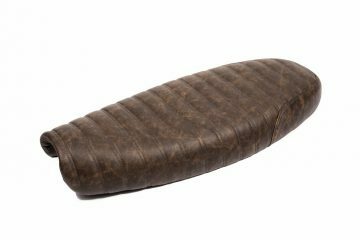 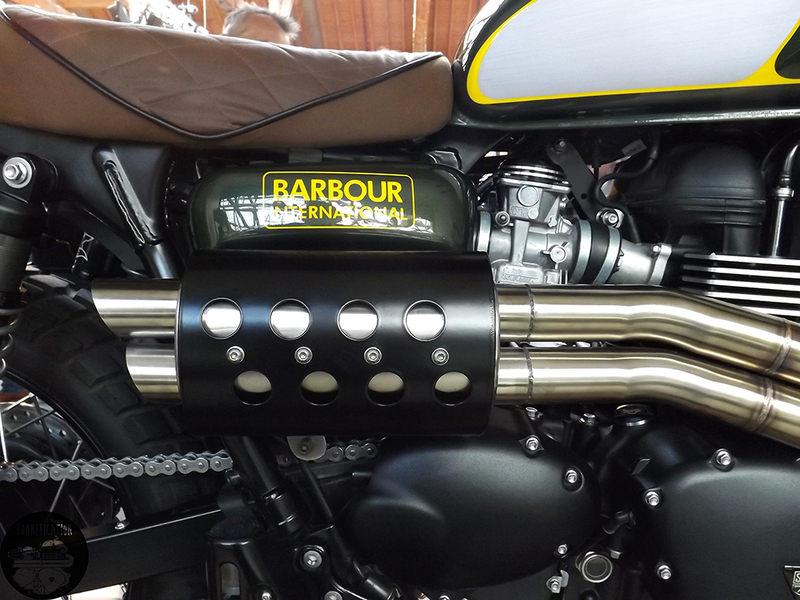 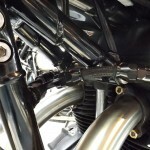 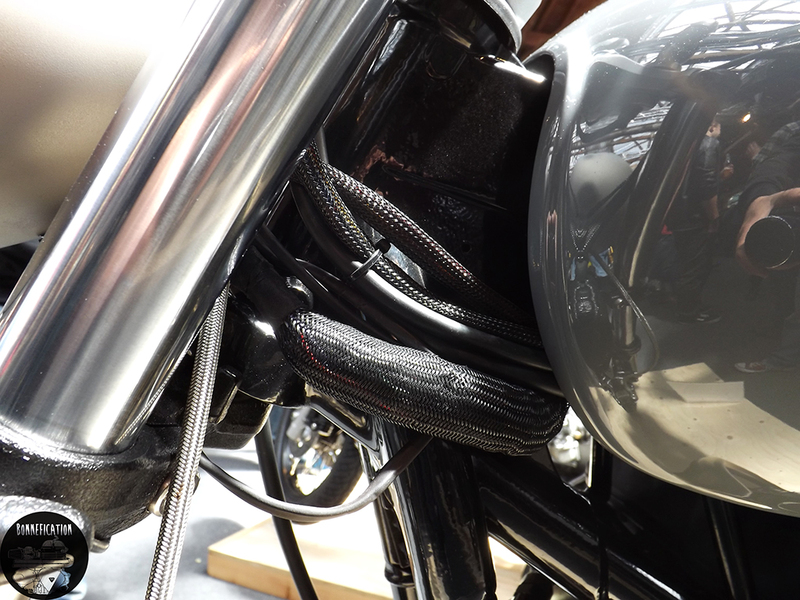 I also had a little chat regarding that exhausts on the their Barbour build, seeing if perhaps the guys would like to produce a few more and sell them via their eStore, only time will tell on that project, but they did seem enthused by the idea. 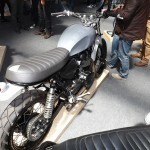 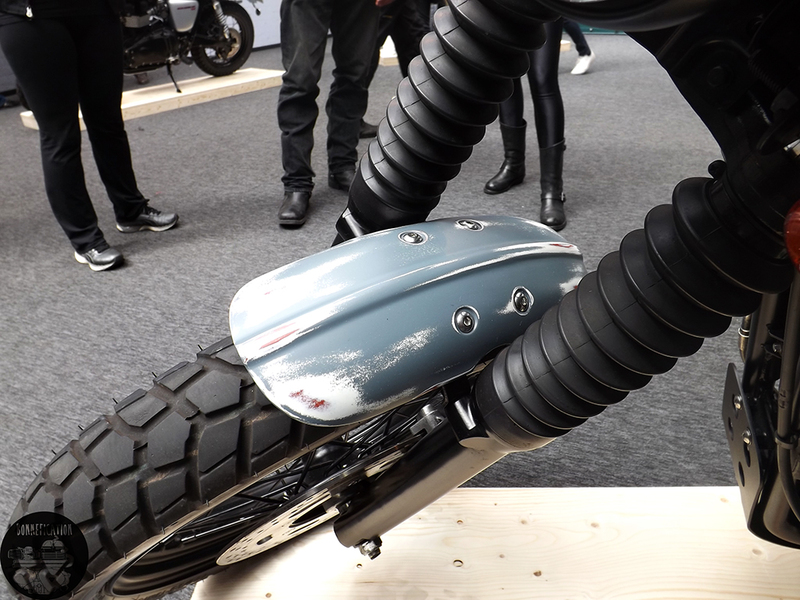 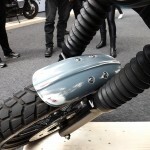 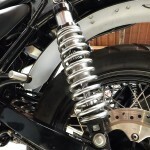 Next to the SOTS build was the Auto Fabrica Type 5 Scrambler. 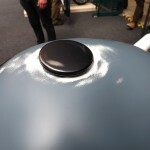 The attention to details from the Essex based builder was excellent. 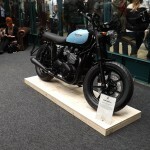 This is a machine I also hope to feature on the website shortly. 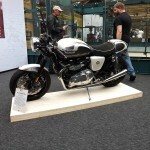 It was really nice to see this particular Triumph in the metal. 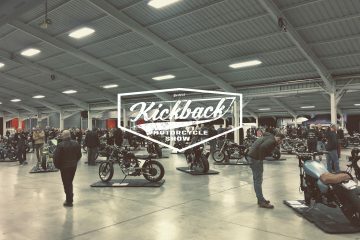 Not something I get to do on many bikes featured on the website, but something I hope to do more of in the future. 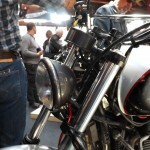 Bonnefication ad sells permitting (hint) . 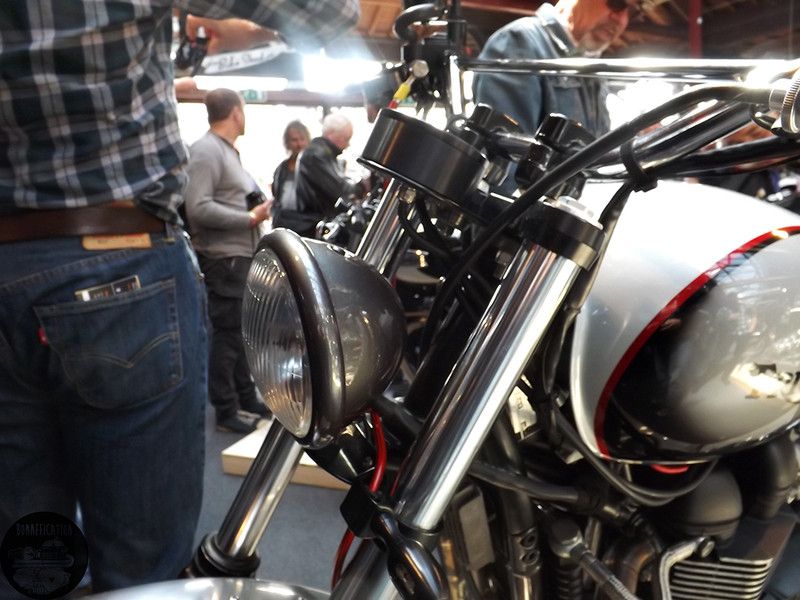 Seeing the Type 5 up close allowed me to see fully the excellent build quality and the attention to details that has gone into this build. 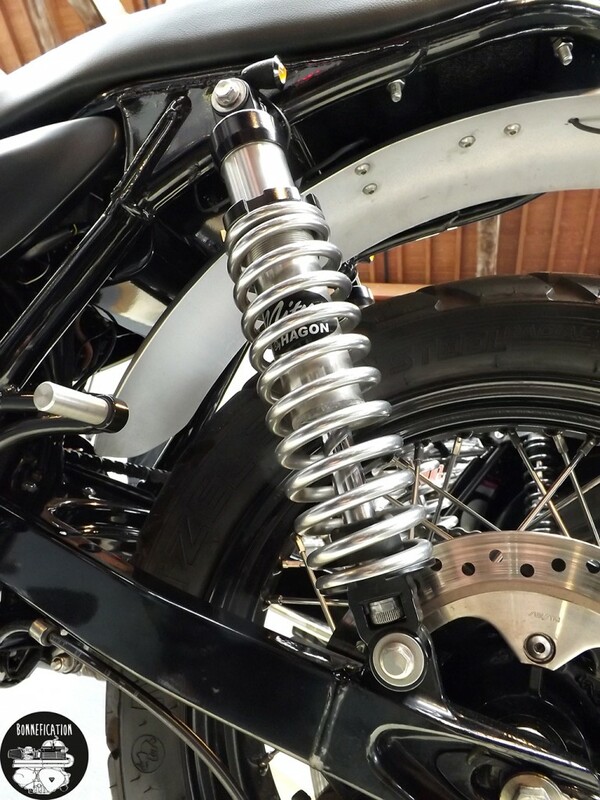 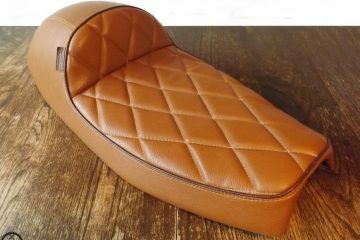 Something that is lost when you just look at those glossy studio shots we normally see. 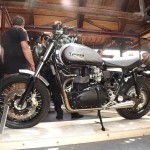 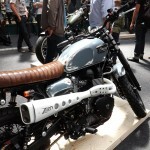 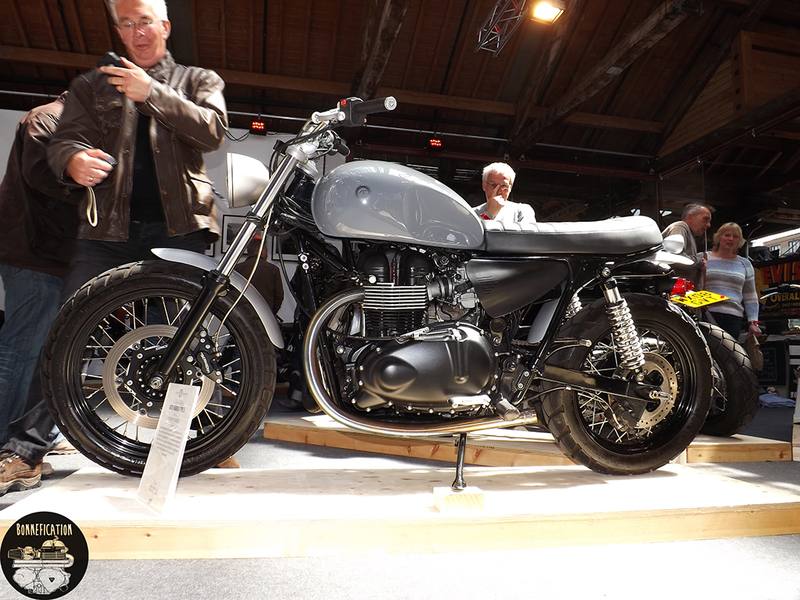 Personally I would like to see more Triumph Twins from the Auto Fabrica workshop, if this build is anything to go by. 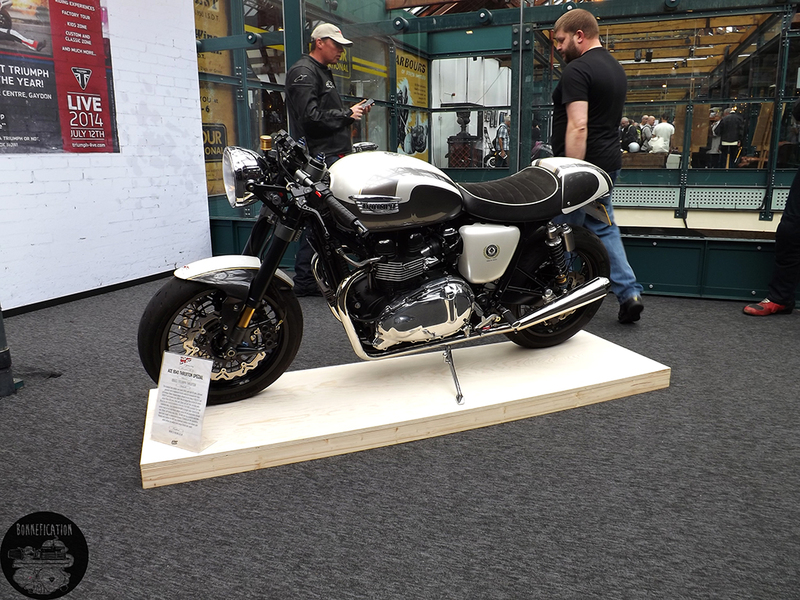 Overall a great show and well worth a visit, the show is open today until 6pm so if you are in the area you pay it a visit. 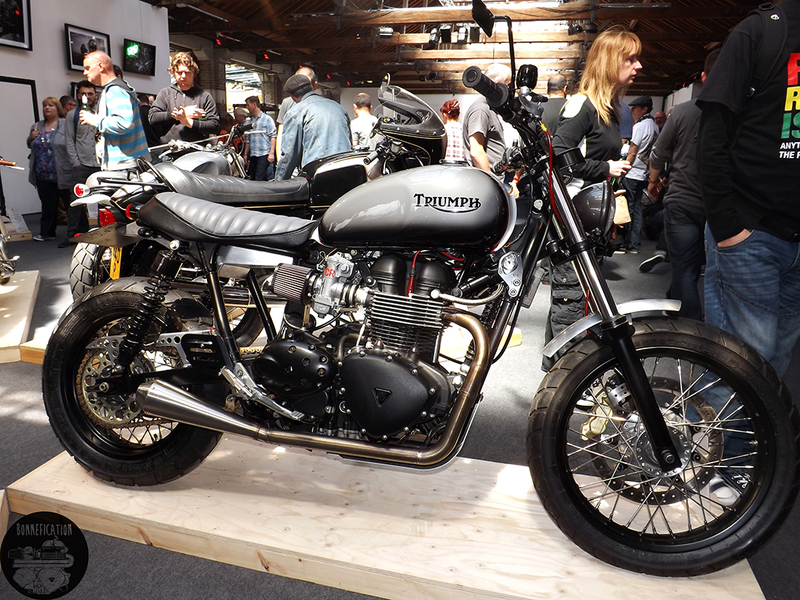 See you at Triumph Live 2014.